We humans eat a lot of food, and most of us eat way too much. 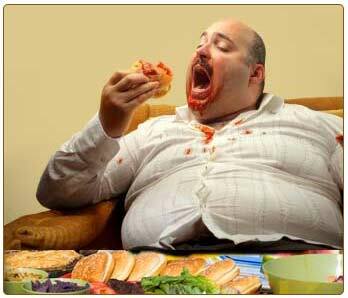 A typical human eats over a thousand pounds of food annually. And during the holiday period each year, Americans will eat more than usual because they are visiting with family and friends, and will gain on average a couple of pounds. And I am certain that the thought “Let me enjoy now and I’ll be better starting after New Year’s” is in many people’s minds. 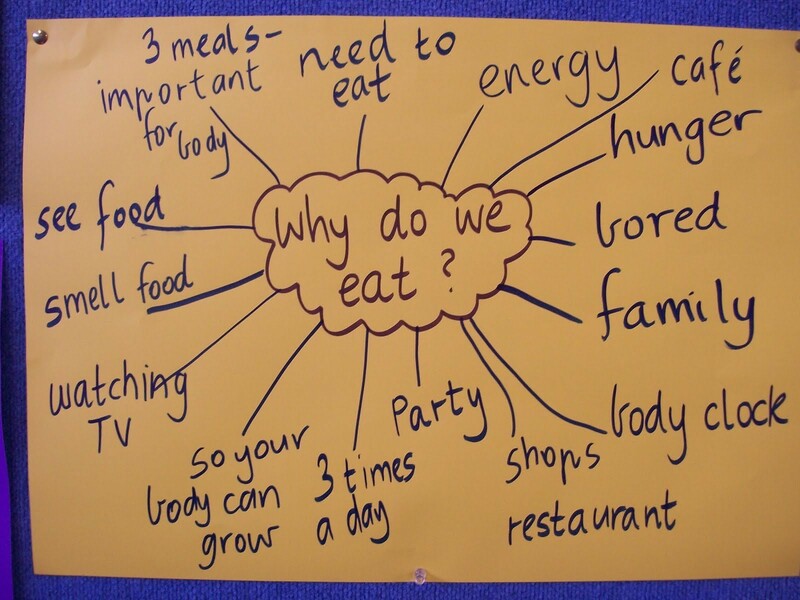 Why do we eat or why should we eat at all? Don’t you find this quote confusing; “let thy food be thy medicine, and let thy medicine be thy food”? When I first started to think about its meaning, I thought it was the answer. Back then I was naïve and a newbie in natural wellness. It was during a time when I had started losing faith in the medical and pharmaceutical model for health, and was gradually adopting natural health modalities. Today, I realize how wrong this quote is. If it were right, then it would imply that you are sick and that you must eat to get un-sick. The problem with this quote is that it was composed / derived from a medicinal mindset at a time when knowledge of cellular physiology and food as its supply of building blocks and energy was not available. Today we know that we eat food to supply us with the energy necessary for carrying out our basic physiological processes of growing and regenerating our body, and to stay alive. And of course we use energy to carry out activities in our daily life. In other words, there is no medicine involved, and normally we should eat to live. Mind you, there are many people that still believe that food is medicine: a belief that implies we are all sick. 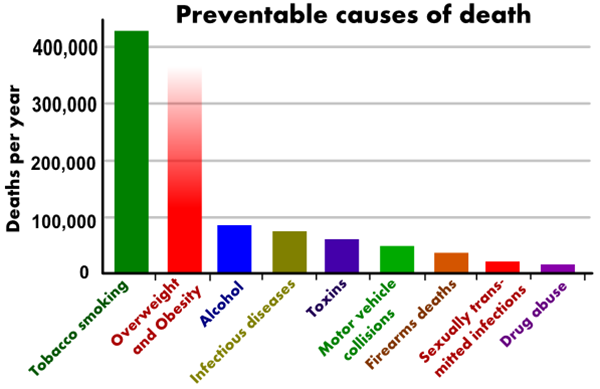 The number one preventable cause of death (after smoking) is overeating. USA National Institute of Health. Most Americans are sick or pre-sick and it is mainly because of eating too much food. The list of diseases caused by overeating and eating the wrong food is endless. The most prevalent ones include obesity, diabetes, cardiovascular disease, cancer, dementia, memory loss, depression, Alzheimer’s… and the list goes on. But the question is do we eat only to live, or do we eat for other reasons? In fact, the desire to eat and eating too much is not just governed by hunger. There are many other key factors that influence our eating behaviours which ultimately determine if we eat to live or live to eat. These various factors affect how much we eat by influencing hunger and appetite. Hunger and appetite both encourage eating. Hunger is an inborn stimulus – the physiological need to eat. Whenever our bodies begin to fall short on energy from food, our empty stomachs and intestines send signals, processed by the brain, that stimulate feelings of hunger. These feelings of hunger then prompt us to eat to replenish the body with the energy it needs. Appetite, a learned response is the desire to eat food which is usually associated with the sensory (sight, smell, taste), aspects of food. Appetite is more driven by external forces. It may be influenced by our emotions, social situations, as well as cultural norms, and not so much by our body’s need for food, as is the case with hunger. Our appetites are at work when we have eaten an entire meal, but see a tempting dessert item and eat it, despite the fact that we are not hungry. The reverse occurs when we are hungry, but have no desire to eat (no appetite), such as when we are ill.
Satiety is a feeling of fullness that we should normally experience after eating that lasts for a while. This feeling of fullness or satiety like appetite and hunger, is influenced by the many other factors. Remember these three words; hunger, appetite, and satiety, as they are the three main factors that determine whether we eat to live, or live to eat. While all three factors are influenced by external factors, hunger and satiety are usually more dependent upon our body signals than external factors. 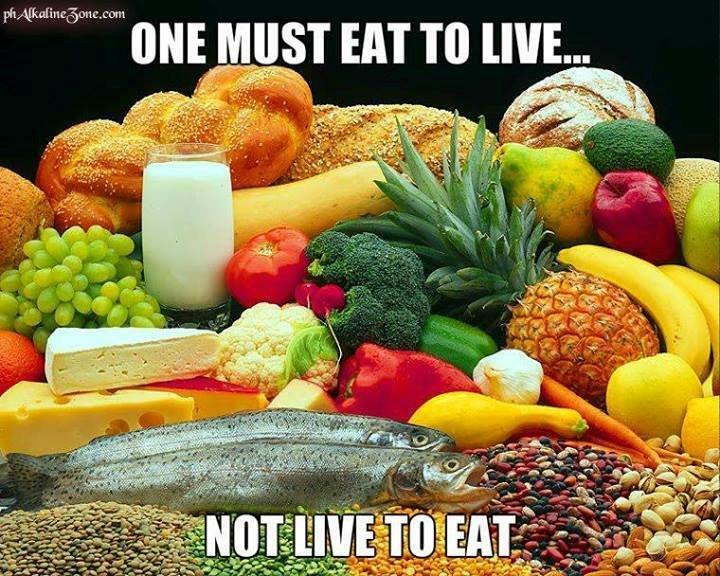 Are you the one just living to eat? Sometimes we eat i n response to hunger (eating to live) and other times we eat in response to our appetites (living to eat). Have you ever noticed that you may eat just because there is nothing else to do and you just feel bored? At other times you may eat because you feel sad or disappointed. These eating behaviors are driven by our appetites more than by hunger. When we are hungry, we reach for foods that are available to us, and we generally eat foods that are culturally, socially, or religiously appropriate. Hunger, appetite, and satiety ultimately determine our diets and eating behaviors. If we learn to accurately respond to, and control these three factors, then we will be better able to control our weight, which many of us want or need to do. We need to let hunger have greater influence on our eating behaviors, and stop eating when we are full. In fact, many children do this naturally. They eat when they are hungry, and stop when they are full, but they are often forced to override these signals. Children are very often told “clean your plate.” As children grow older, however, their experiences of different tastes increase, and they begin to prefer the taste and textures of some foods over others. They begin to develop an appetite for the foods they prefer. Parents and caregivers notice this and may reserve these foods for special occasions or as rewards. This may lead to weakening of the hunger and satiety signals, and so a person becomes less likely to eat when hungry and stop eating when full. Or will you learn the Martial Art of eating to live? A wellness warrior will want to develop the martial art of eating to live. In order for us to eat just enough food to satisfy our bodies’ needs, we must “learn” to exert control over our hunger, appetite, and satiety. We can do this by re-connecting with the signals that are sent when our bodies are running low on energy (hunger), and when energy stores have been replenished sufficiently (satiety). But can we re-connect with these signals and if so, how? We can re-connect with these signals by becoming more aware of the conditions that cause us to eat. Each time we eat or even drink, we should make note of what occurred during that time. Did I eat that meal because I was upset, bored, or happy? Did I really feel hungry, or did I just eat that large meal because I was at a business dinner and didn’t want to seem impolite? Did I eat a large lunch instead of a small one because I was so hungry? This will make us more aware of the factors that cause us to eat. When we have identified these factors, we can take steps to modify, or to avoid them, so that we are influenced by hunger more than appetite. After we have identified the situations that cause us to eat, we can modify our responses to those situations so that we eat in response to hunger, and not because of other external factors. You may find that you eat based on how you feel. Some people have a tendency to eat whenever they feel sad, depressed, lonely, or bored. If you are such a person, you should try to replace eating with other activities to respond to your feelings. You should try to do something else that you enjoy to deal with your emotions or to eliminate your boredom as the case may be. So it is a good habit to eat frequently even in very small amounts such as eating an apple. Otherwise if you wait too long to eat when hungry you will soon become ravenous. This will delay your satiety signals, and make you more likely to overindulge when you finally eat. If you go to a business dinner or other social occasion where food is offered, you should make a conscious effort to not eat any more than you need. If it is possible, ask for smaller portions at a restaurant, so that you will not have to eat too much, lest the food should go to waste. 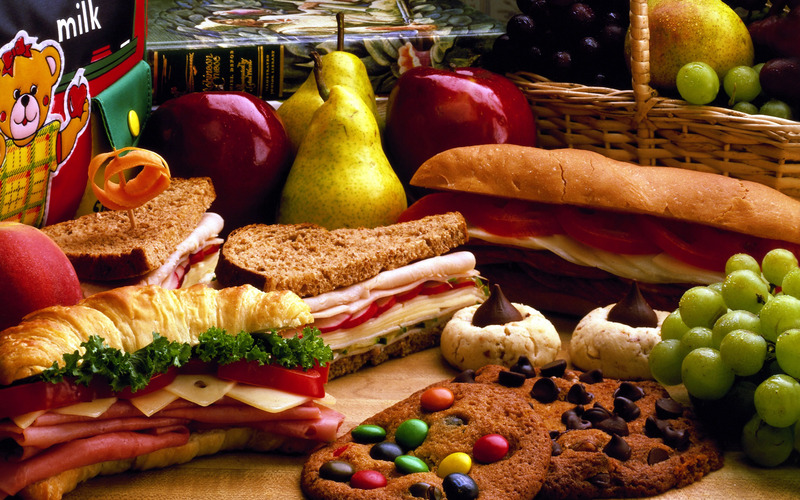 And there is nothing wrong in indulging occasionally in your favorite foods which may be high in fat and sugars. Doing this will make you less likely to go crazy and eat everything in sight when you are presented with a great supply of these foods. If we feel full quickly, we will eat less food than if we take more time to reach satiety. It is therefore profitable for us to be able to manipulate our satiety, so that we are less likely to overeat. Let us now look at some things we can do to help us feel full faster. Water may help us to feel full faster by occupying more space in our stomachs thereby stretching the stomach walls, which leads to satiety. This will decrease the amount of food we need to feel full. Drinking water with or just before a meal will also achieve the same effect. Water does not contain energy, so you are very likely to lose weight by adopting this practice. Sometimes thirst may be misinterpreted as hunger. So sometimes we may eat food when we really should be drinking water to quench our thirsts. Close attention should be paid to body signals in order to differentiate between hunger and thirst. In order to get around this, we should ensure that we keep our bodies adequately hydrated. Fiber is not digested well by humans; hence like water, it does not contribute to weight gain. Fiber also has a higher satiety value (i.e., a prolonged feeling of fullness between meals), than digestible complex carbohydrates and simple sugars. High fiber foods stay in the stomach and intestine for longer periods of time. High fiber foods and foods with a high water content will occupy more space in the stomach, thus contributing to a feeling of fullness. In this way, eating foods such as whole grains, fruits, vegetables, and many ground provisions can be used to displace some of the higher energy yielding foods that could be consumed. How fast we eat our food will also help to determine how quickly we feel full. Our stomachs need time to report to our brains when satiety is reached. Consequently, we should take time to eat, savoring the flavor of the food, and chewing more completely to allow for easier digestion. Eating in this manner will allow the stomach enough time to send signals to your brain that will tell you when to stop eating. If you eat too fast, you will eat too much food before your stomach has time to send signals that you should stop eating. Our bodies were made with sensitive systems that prompt us when to eat and when to stop eating. We were designed to eat to live. It is when we disregard these systems that we overeat. Living to eat can lead to obesity, which also can lead to a myriad of other unwanted effects such as heart disease and diabetes. While our individual situations may not always favor eating to live, we should still try to adopt this practice, as it will lead to longevity and improved quality of life. Taking control of your eating habits, of your weight, of your energy, your life force, your wellness, your spiritual life, and ultimately your happiness is not a chance affair. Eventually, once you have realize the possibility, it will require you to control it, desire it and work at it. I call this illumination and we are all entitled to it. Here are a bunch of other means to not eat too much and to keep your light shining every day. Eat 4 to 7 small meals and snacks instead of the traditional 3 large meals – small meals will be digested much faster and eliminated faster. A small meal will not burden your body’s energy as much as a large meal. 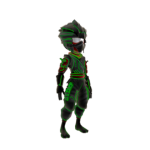 Learn the Martial Art of fasting – read about fasting and find a way to utilize this ancient powerful art. You can fast one day per week, or a weekend per month, or even an annual seven-day fast. The best way to learn the benefits of fasting is by trying it. Remember that it’s better to invest 1% to 2% of your day (15 to 30 minutes) in wellness than wait for the weekend or holiday. Now don’t tell me you don’t have time… I tell my clients “don’t be a baby, just do it”. Ether YOU ride life, or LIFE rides you – which will it be?